. 1901 Locomobile Style 2 5.5HP Spindle-seat Runabout-Stephen Ward, Suffolk. 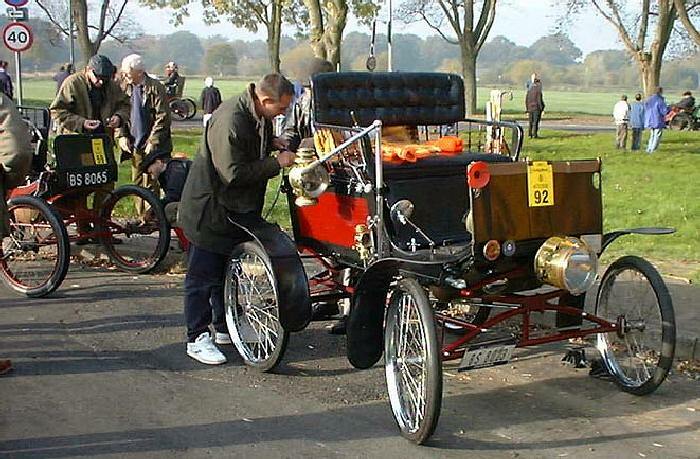 1901 Locomobile Style 2 5.5HP Spindle-seat Runabout owned by Stephen Ward, Suffolk. Previously owned by Bob Ward, Alan Curry. Has Indiana number plates.